It also includes any arrangements for handling complaints from parents of children with special educational needs (SEN) about the support the school provides. 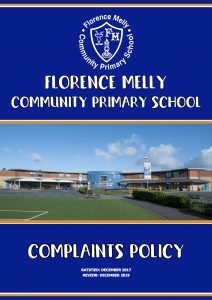 Please click on the link below to access our Complaints Policy. Should you require a paper copy, please contact the school and this will be provided, free of charge. Follow these steps in order. Move on to the next step if your complaint is not resolved. There’s a different process if you disagree with a decision your local authority has made about an SEN statement or an EHC plan.